← Ivory Coast and the ICC: This Justice for You, That Justice for Me? Last month, Argentina continued its remarkable zeal for justice and accountability by putting two of its most brutal leaders on trial. Former Argentine dictators Jorge Videla and Reynaldo Bignone, along with six others, were brought to trial for crimes committed during the so-called ‘Dirty War’. Yesterday, Bignone and other Dirty War figures were convicted and sentenced. Bignone was sentenced to life in prison. 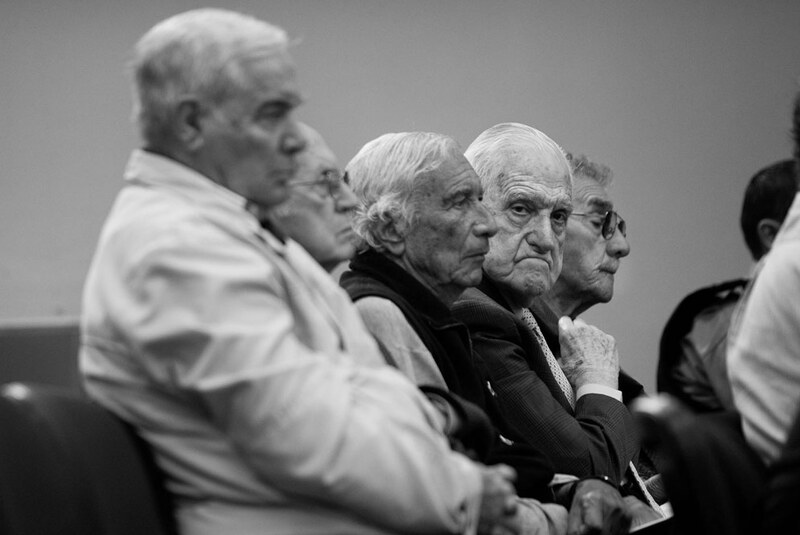 If there is a “grandfather” of transitional justice, it wouldn’t be a person; it would be Argentina. 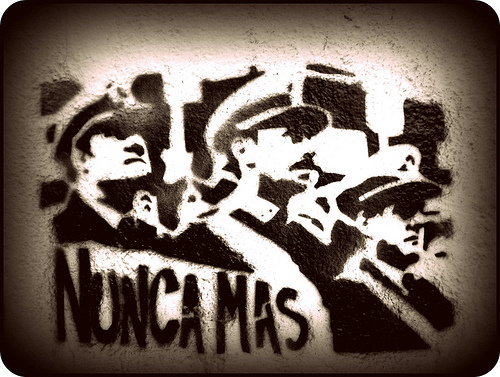 If most post-conflict contexts are characterized by not having any or having too few transitional justice mechanisms, Argentina can be characterized as pretty much having all of them, including numerous trials, and truth commission (CONADEP) and amnesty laws. What is particularly remarkable about the trial of Videla, Bignone, and others is that it continues Argentina’s mission to have all crimes adjudicated. It would be easy to have taken the first chance to throw the inconvenient figures of Argentina’s history into jail and simply leave them there. However, such an approach denies other victims and survivors the ability to see justice. As I noted in an earlier post, Iraq serves as a good example. In 2006, Saddam Hussein was convicted and sentenced to death for crimes against humanity against 148 Shias in Dujail in 1982. Certainly the crimes committed under Hussein’s regime over twenty-five years were more widespread than the deaths of these 148 Shias. The result was that a more ‘complete’ justice for Hussein’s victims was denied. Some of the sharpest critics of Hussein’s trial have gone so far as to suggest this was a political decision by the US which did not want Hussein to present embarrassing and damning evidence of Iraq’s relationship with the US. In the case of Argentina, the country has clearly taken the view that the continuous pursuit of justice and truth is a priority. Bignone, for example, had already been sentenced to 25 years (at his age of 83, the equivalent of a life sentence) for his role in the abduction, torture and murder of 56 people. To a remarkable extent, Argentina’s commitment to pursue justice can be attributed to the persistent and vehement efforts of the members of Argentina’s human rights community and its vibrant civil society, most notably the Grandmothers of the Plaza de Mayo, which has tirelessly demanded truth about what happened to their loved ones during the Dirty War. I think it’s safe to say Carlos Nino would be proud. Argentina’s last military ruler, Reynaldo Bignone, has been sentenced to life in prison for the torture and murder of political opponents more than three decades ago. Four other former soldiers and police officers were also convicted. The trial is the latest in a series related to military rule in Argentina in 1976-83, when around 30,000 people were killed or made to disappear. Gen Bignone, 83, was already serving a 25-year sentence for other killings. This case related to the abduction and murder of left-wing activists in the town of Escobar outside Buenos Aires after the coup of 1976 that ushered in military rule. Among those killed were the former left-wing militant, Gaston Goncalves, and the former congressman, Diego Muniz Barreto. Also sentenced to life in prison were former Gen Santiago Riveros, former army intelligence officer Martin Rodriguez and the former mayor of Escobar, Luis Patti, who was a policeman at the time of the killings. …”This is a historic day for all Argentines of goodwill,” said Estela de Carlotto, leader of the Grandmothers of the Plaza de Mayo human rights group. “Many countries are viewing Argentina with growing respect because we are carrying the banners of truth and justice on behalf of the 30,000,” she added. This entry was posted in Amnesty, Argentina, Human Rights, Iraq, Transitional Justice, Truth and Reconciliation Commissions. Bookmark the permalink.